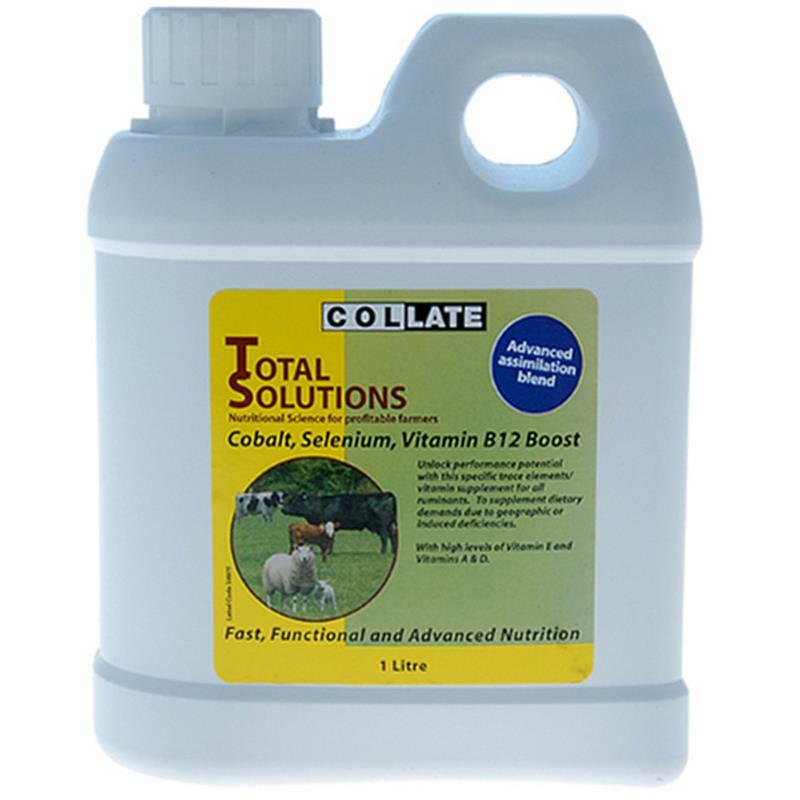 Col-Late Total Solutions - Cobalt, Selenium, Vitamin B12 Boost. Cobalt - Maintains appetite avoiding wasting and anorexia. Cobalt is used by the rumen for the production of Vit B12. Selenium - works in combination with Vit E as an antioxidant maintaining healthy muscles and blood cells. Vitamin B 12 - Maintains growth, healthy appetite, muscular condition and strength. Vitamin E - Maintains muscular health and strong suckling in the young animal. It is closely associated to, and works synergistically with Selenium. Vitamin B1 - Maintains the nervous system. Our Advanced Assimilation Blend will maintain optimum levels. Instructions - Shake well before use and administer orally using a metered drench device or as a top dressing on feed. Feeding - shake well before use. Lambs; 6-12 weeks - 2ml, 3-6 months - 3-5ml, Mature - 5ml. 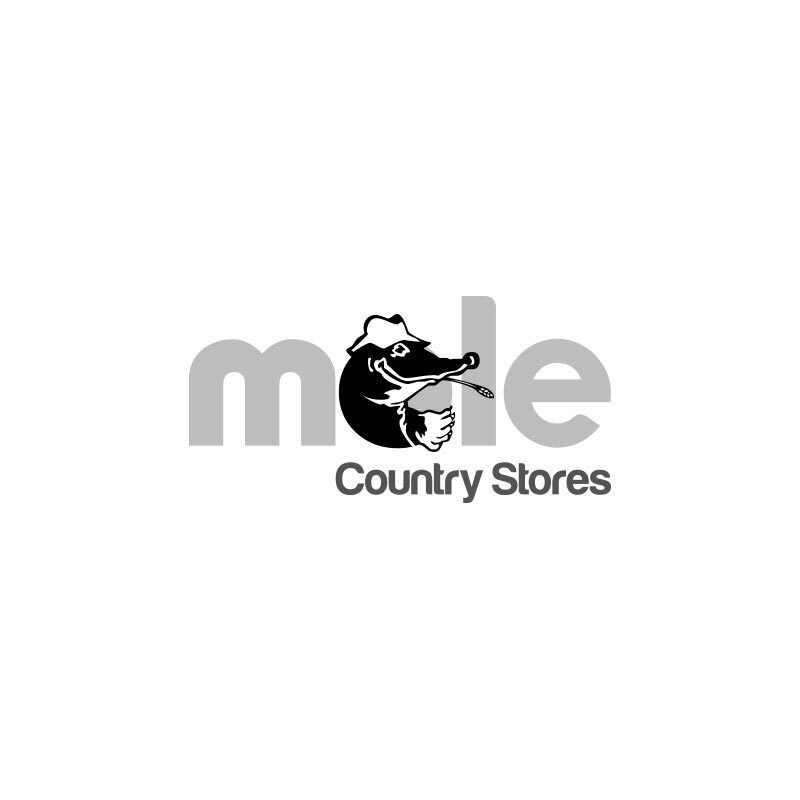 Calves; 4+ weeks - 5ml, Yearlings - 10ml, Mature - 15ml. Precautions - Cobalt and Selenium supplements should only be fed to sheep requiring additional Cobalt and Selenium. Check with a qualified veterinarian before feeding.